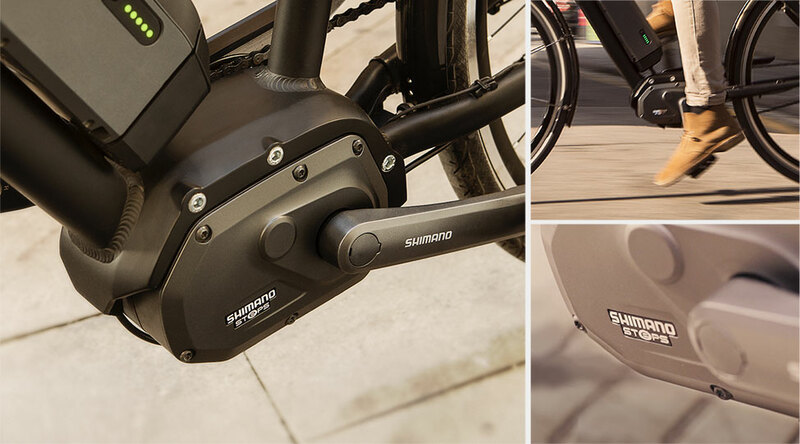 SHIMANO STEPS CITY is a system of components that are installed on an e-bike to support you in all your adventures. Whether it’s commuting through city traffic or heading out into the countryside, you’ll arrive at your final destination feeling fresh. 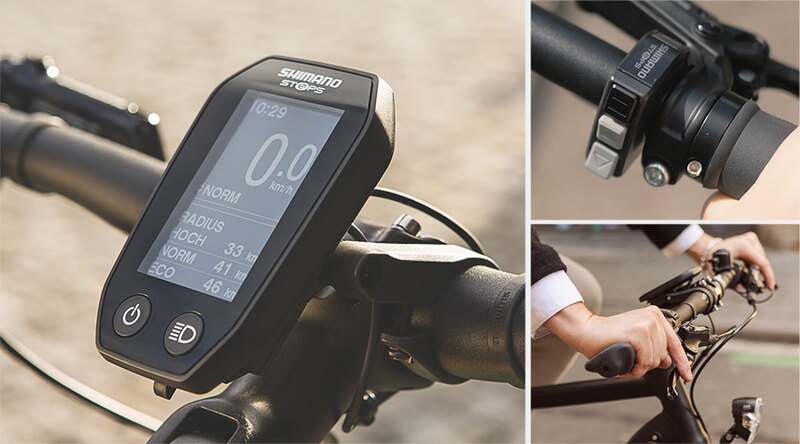 You can find STEPS CITY e-bike system pre-installed on a wide variety of bike brands and models. Smooth, silent motor packaged in a compact, lightweight design for a sleek look and supreme riding performance. One of the lightest, most compact motors on the market. Strong yet intelligent pedalling support for a solid, natural feel. Very durable to handle all weather conditions. High quality Li-Ion battery with a very long life! Constructed to go the distance with you. Large battery capacity to cover more territory. Supported travel up to 150 km on one charge. Sleek bar-mounted cycling computer with easy-to-read high-contrast display. Partnered with ergonomic switch unit with intuitive design. The easy-to-read computer has every function you’ll need for a successful outing. Computer functions include speed, distance, trip time, clock, gear, estimated range, battery indication. Accurate, reliable, supple switching between all three power-assist modes regardless of weather conditions.